Donald Macleod focuses on the genesis of Prokofiev's ballet masterpiece Romeo and Juliet, listening to the work with fresh ears in a host of dazzling and unusual arrangements. Donald Macleod explores the genesis of Prokofiev's ballet masterpiece Romeo and Juliet - exploring the work with fresh ears in a host of dazzling and unusual arrangements. 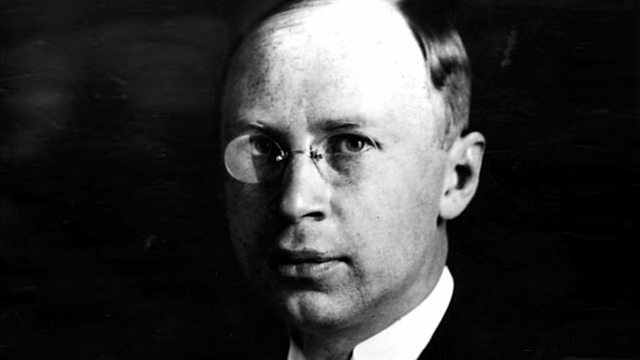 Sergei Prokofiev died the same day as Stalin; there were no flowers left for his funeral. It was the grimly ironic end to a return to his Russian motherland that had begun in triumph in the mid-1930s and descended terrifyingly quickly into a fight for his life, in the face of the state's purges of artists and intellectuals. This week, Donald Macleod explores a host of masterpieces - including Romeo and Juliet, Peter and the Wolf, War and Peace, Alexander Nevsky and the Sixth Symphony - leading to Prokofiev's final, devastating denunciation by the cultural commissars in 1948, a blow from which his music and health would never recover. Today's episode is devoted entirely to Prokofiev's much-loved ballet Romeo and Juliet. Donald Macleod tells the story of the work's troubled genesis in the face of meddling from the cultural commissars, as the Prokofiev family prepared to make a permanent move back to the Soviet Union. He introduces a host of unusual and imaginative arrangements of highlights from the score - including for brass band, marimba and cello quartets, trombone, viola duo and jazz ensemble. Performer: Simon Rosler. Ensemble: german hornsound. Conductor: Hannes Kramer. Performer: Christian Lindberg. Performer: Roland Pöntinen. Performer: Orli Shaham. Performer: Gil Shaham. Performer: Matthew Jones. Performer: Rivka Golani. Performer: Michael Hampton. Performer: Lutz Köhler. Ensemble: hr brass. Performer: Andrey Doudchenko. Performer: Sergey Rezantzev. Performer: Yuri Markin. Performer: Peter Talalay.